Albany, N.Y. — The New York State Department of Transportation (NYS DOT) issued a Request for Expressions of Interest (RFEI) to advance the proposed Long Island tunnel project, which Governor Andrew M. Cuomo announced in his 2018 State of the State address. The RFEI invites interested parties to provide input on engineering, environmental, operations and financial considerations that will be used to inform the future development of a Request for Proposals. Today’s RFEI builds upon the preliminary study released by the Department in 2017, which assessed the feasibility of a Long Island Sound crossing. The goal of this RFEI is to solicit ideas that will advance the project and maximize benefits to the region with the least economic and environmental risk to the State. 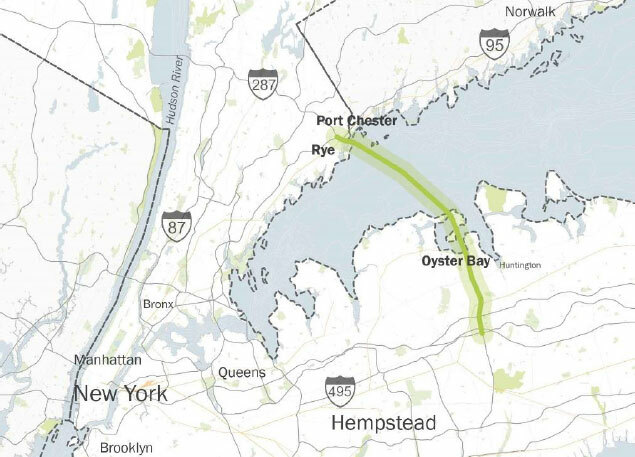 The RFEI also invites respondents to comment on how the proposed tunnel would be integrated into and improve the Long Island region’s overall mobility and connectivity; promote regional economic growth; and generate revenues to support the construction and annual operations and maintenance costs. The RFEI is available at https://www.dot.ny.gov/doing-business/opportunities/const-highway. Responses to the RFEI are due no later than April 2, 2018.